We have three trainers that work out of our farm, and we also teach at many farms in the surrounding area. Eliza Sydnor Romm - Eliza is a USDF Certified Instructor, Training-Fourth Level. She enjoys working with riders of all levels and horses of all breeds. Eliza is a popular instructor because of her upbeat attitude, ability to explain things clearly and with patience, and willingness to listen to her students to cultivate individualized programs. Kate Tackett - Kate is a USDF Bronze medalist and a wonderful teacher. She is a graduate of Elon University, where she first began to train with Eliza. Kate works with riders of all ages but has a special affinity for juniors. 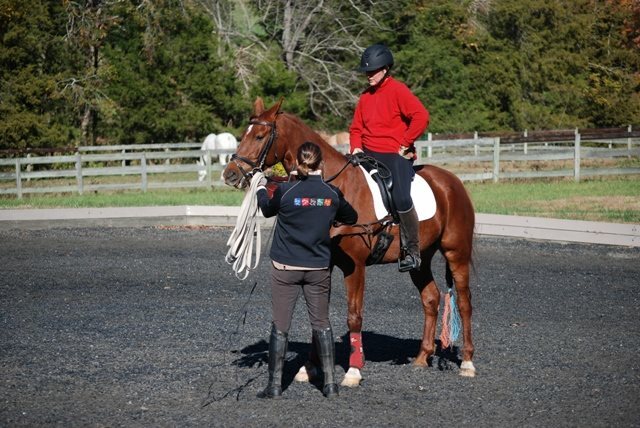 She has loads of experience with very young riders, but she is also an excellent instructor for Adult Amateurs. Kate is also a certified Equine Massage Therapist. 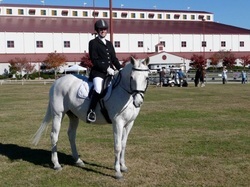 Hannah Walters - Hannah is a graduate of Averett University with a degree in Equine Studies. She is a USDF Training - 1st level certified instructor. She is a beautiful and accomplished rider in both jumping and dressage and has become a popular instructor in both disciplines. 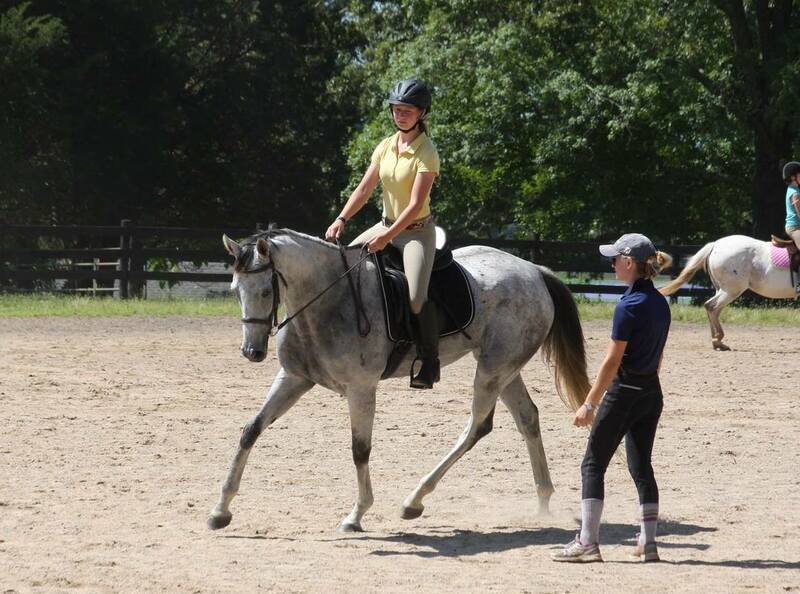 Hannah is very good with riders of all ages and skill levels and is excellent with lunge lessons. Group or Semi - Private Lessons are available. Please contact us for information. ﻿Eliza Sydnor Dressage specializes in lunge lessons to work on the rider's seat. We can occasionally offer one of our horses for a lunge lesson at Braeburn Farm or can give you a lunge lesson on your own horse. ﻿Eliza gives 1-3 day clinics all over the US and has taught from New England to the Deep South, and even out in Hawaii! $850/day plus travel expenses. Full day is up to 8 private lessons but can include group or semi private lessons as well. ﻿Eliza, Kate, Hannah travel to many competitions each year, competing ourselves as well as coaching students. All other costs (hotel, meals, etc) split evenly among all students. All riders must wear an ASTM approved helmet in lessons, either at Braeburn Farm or at their own facility. 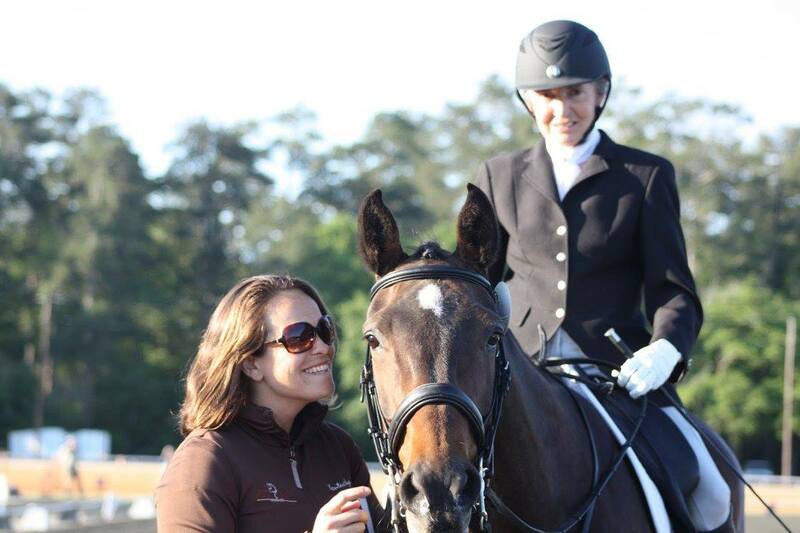 All riders must sign a liability waiver for Eliza Sydnor Dressage, LLC before beginning their first lesson. Please print a copy here. All cancellations must be made at least 24 hours ahead of the scheduled lesson time! Lessons should be cancelled by contacting the instructor directly, by phone or text. No other means of contact (FB messenger or email) will be accepted. Any lesson cancelled between 12-24 hours of the scheduled lesson time will be charged the full rate unless the lesson can be filled. It is entirely at the discretion of the instructor if the lesson can be filled. Any lesson cancelled less than 12 hours prior to the scheduled lesson time will be charged the full lesson rate regardless of whether the time can be filled by another rider. Exceptions may be made to the cancellation policy in the event of injury or illness to either horse or rider. In the event of injury or illness students must contact the instructor as soon as the problem is evident. In general, lessons will not be cancelled due to temperature. If you prefer to not ride due to extreme hot or cold please follow the above cancellation policy to cancel your scheduled lesson. Lessons may be cancelled due to poor or unsafe driving conditions or heavy rain. Please do not assume lessons have been cancelled without contacting the instructor. Students may pay for lessons by check, cash or PayPal. Please have your check written or cash ready BEFORE your lesson begins. If a lesson is scheduled for 10:00 am, that means the instruction will start promptly at 10:00 am, so plan to be mounted and warmed up enough to begin working at that time. Out of respect to the instructor and other students, any rider who arrives more than 15 minutes late for a lesson will forfeit the lesson and be responsible for the charges. Any lesson that begins late due to the rider will not run past the scheduled end time, in respect for the next student. If the instructor is running late, every effort will be made to communicate with the rider, and this time will be made up, if possible, or a credit established for the next lesson.